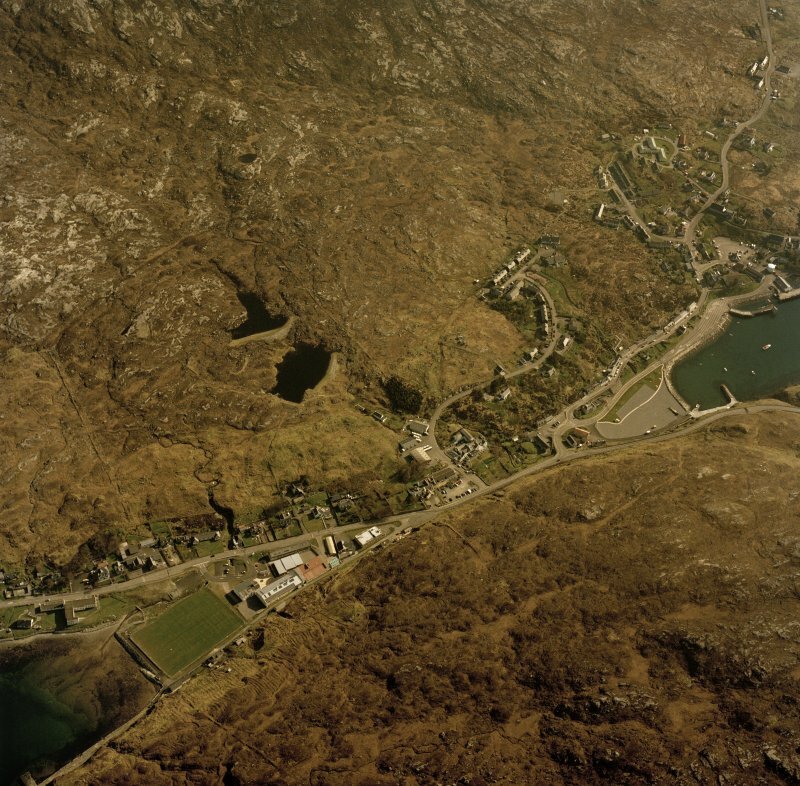 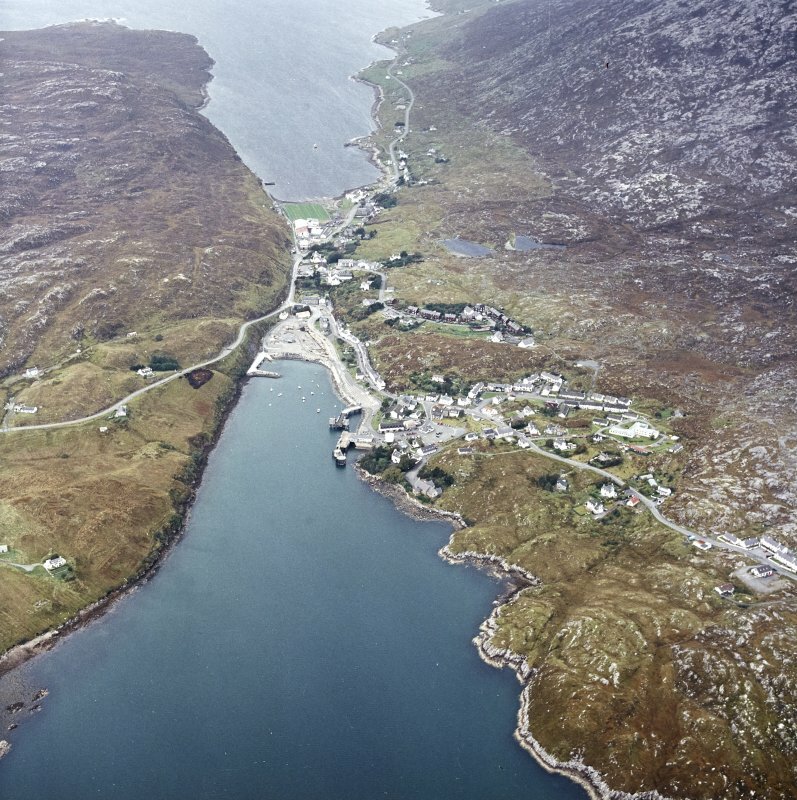 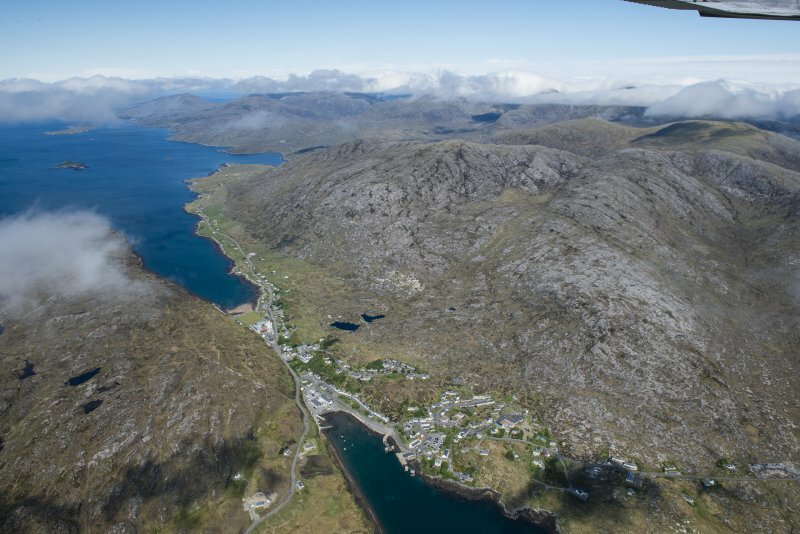 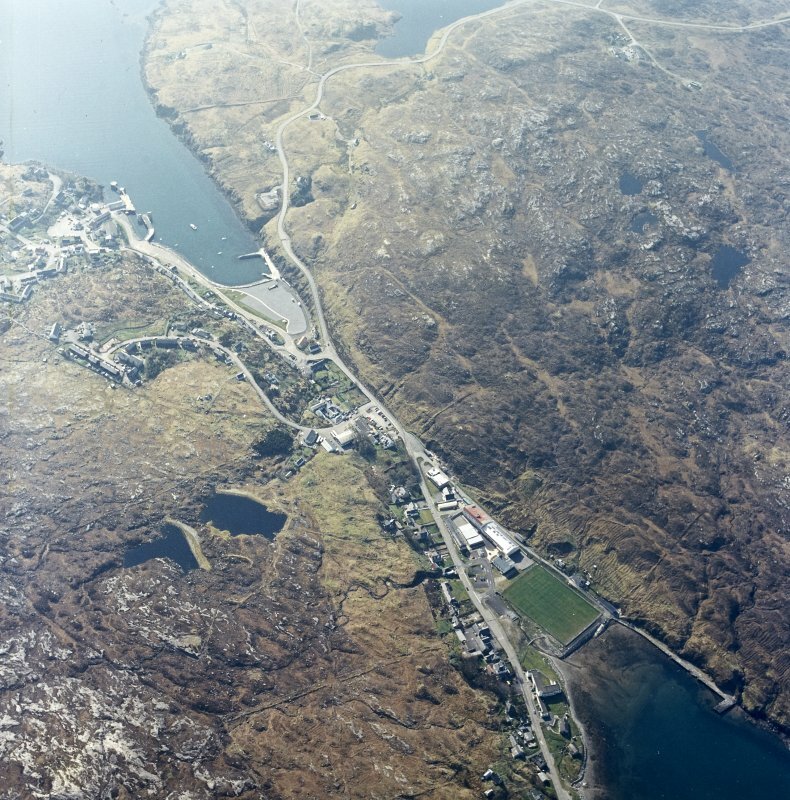 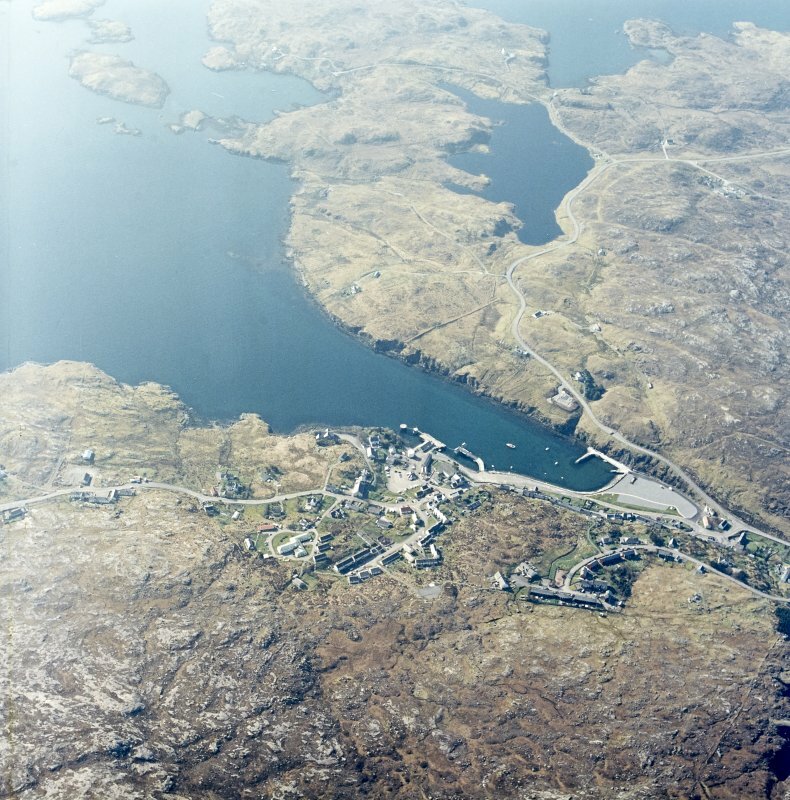 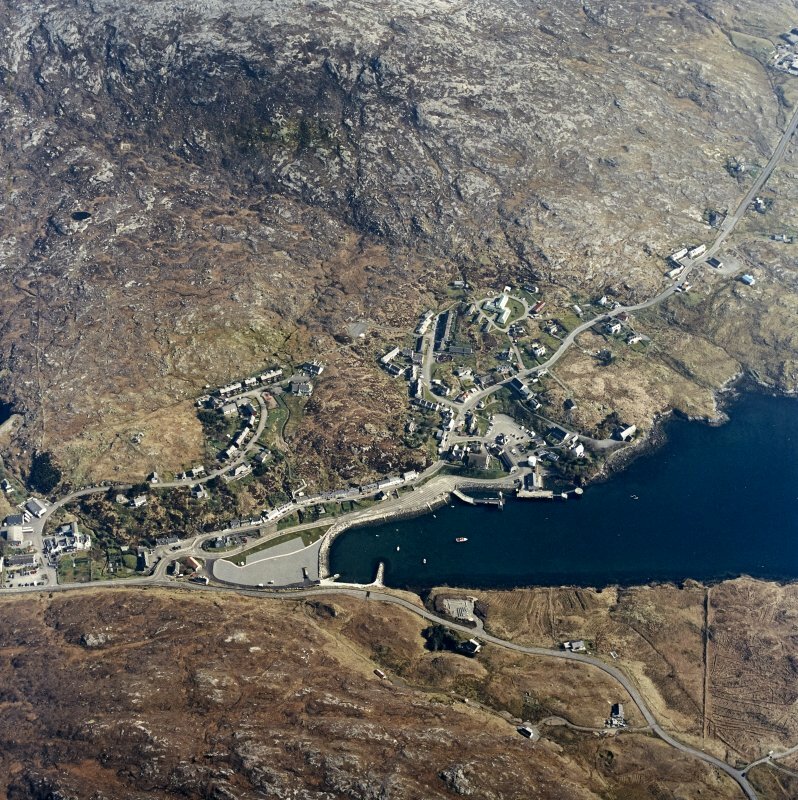 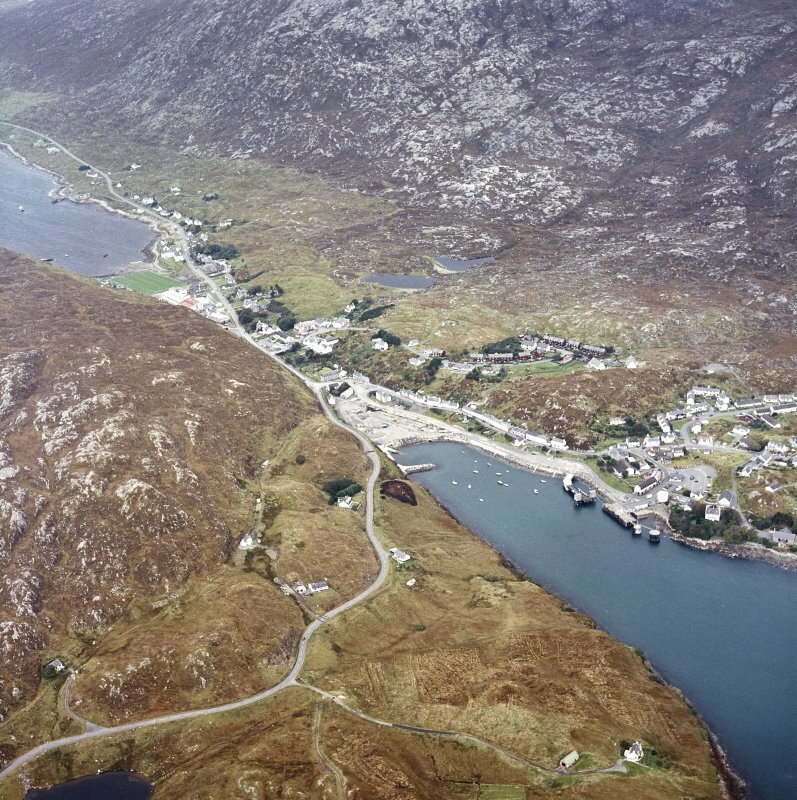 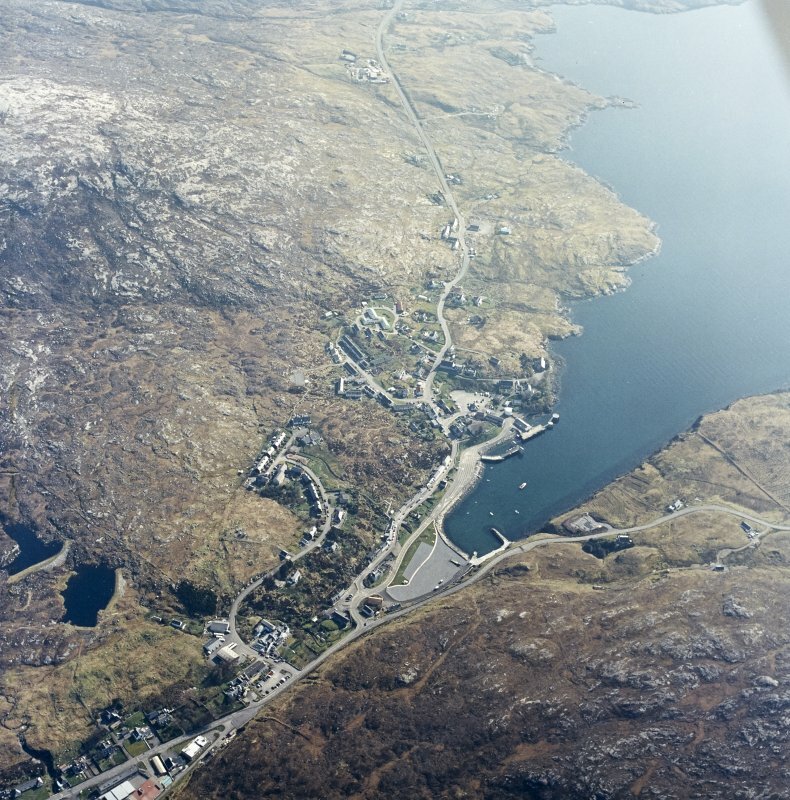 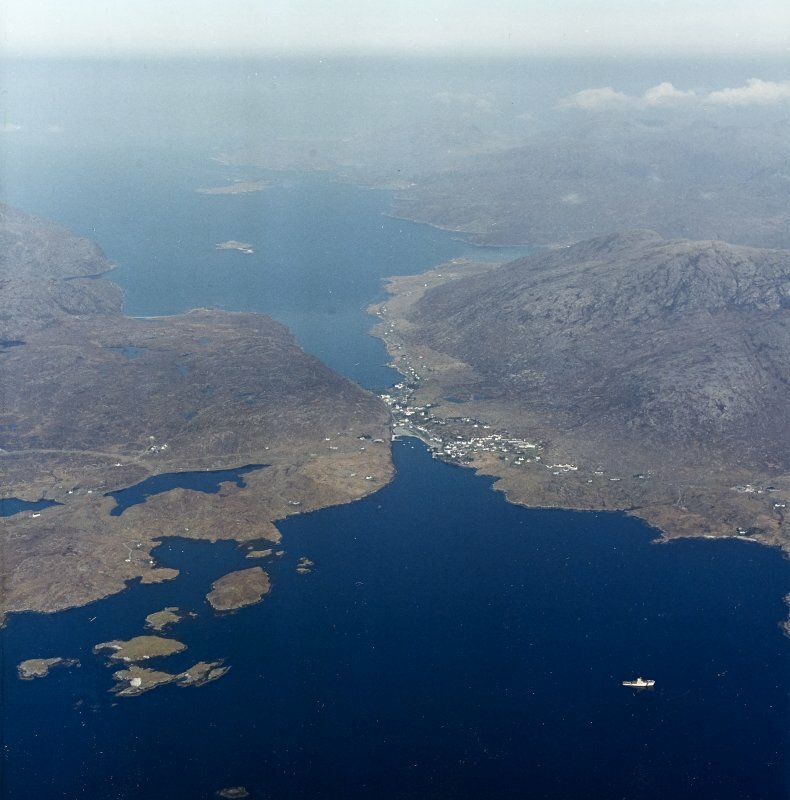 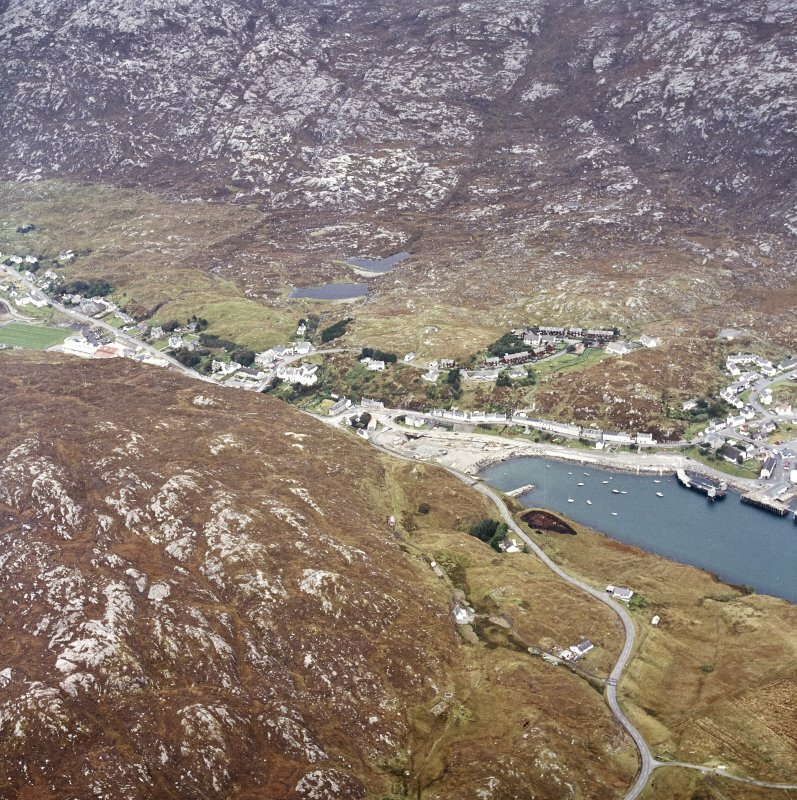 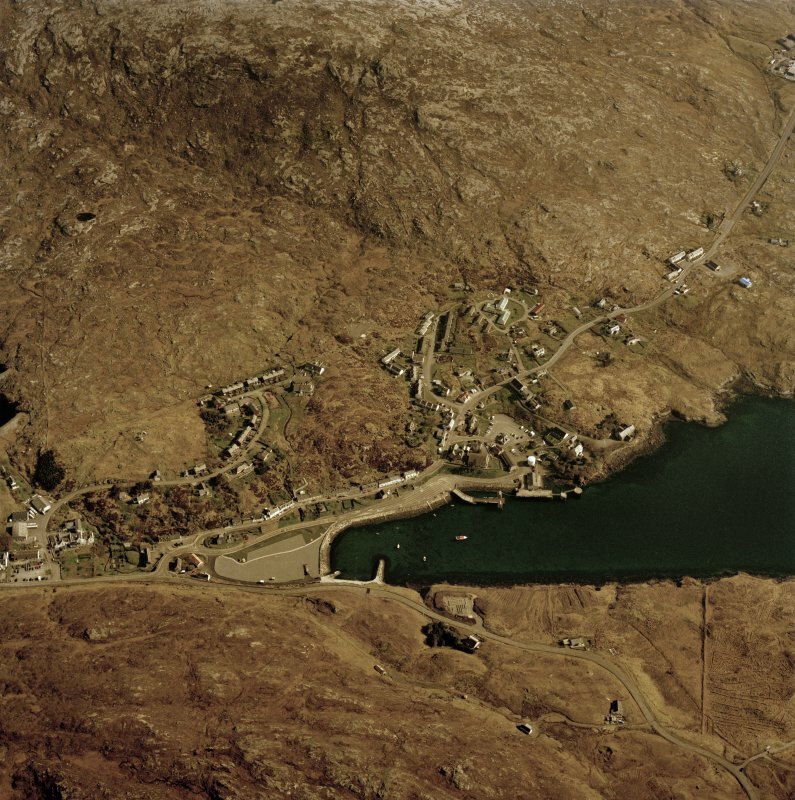 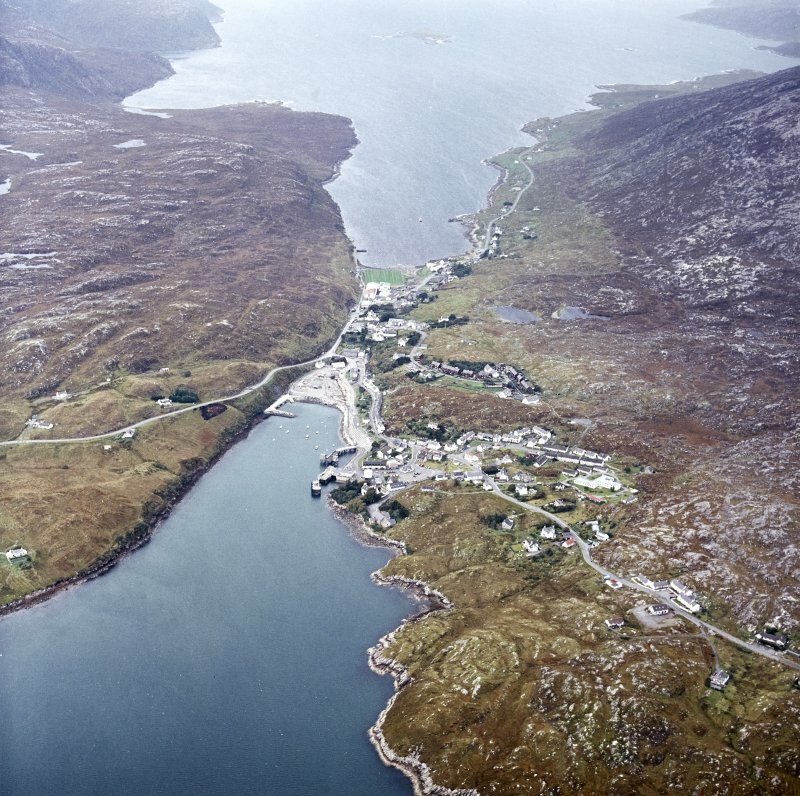 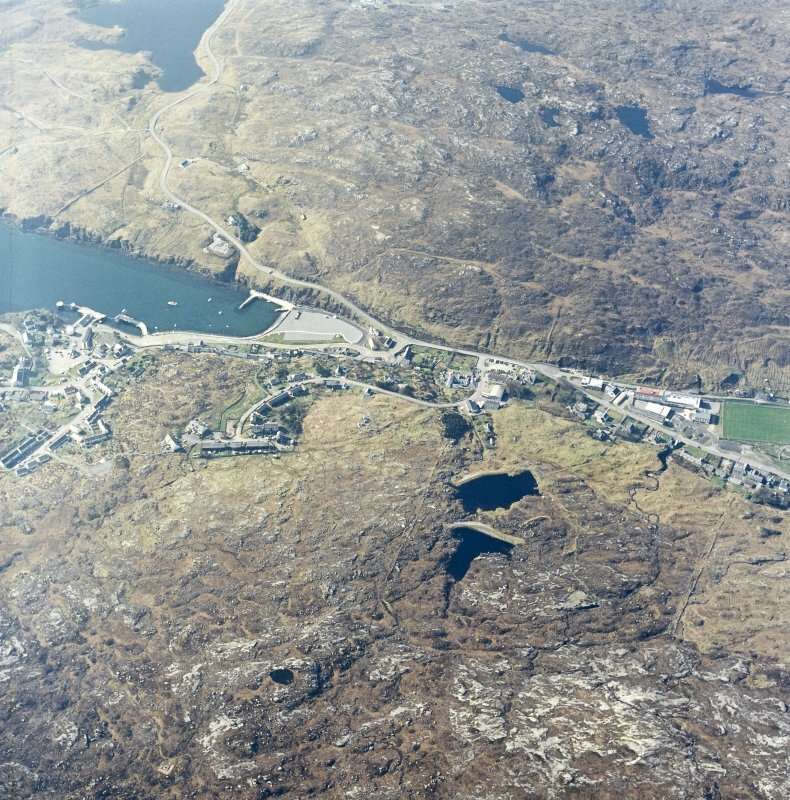 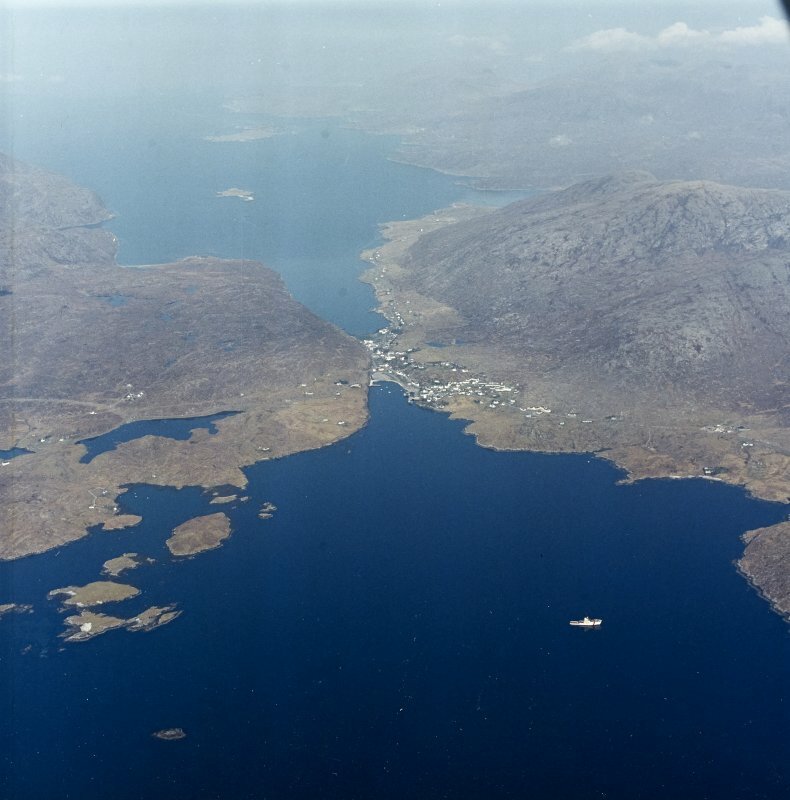 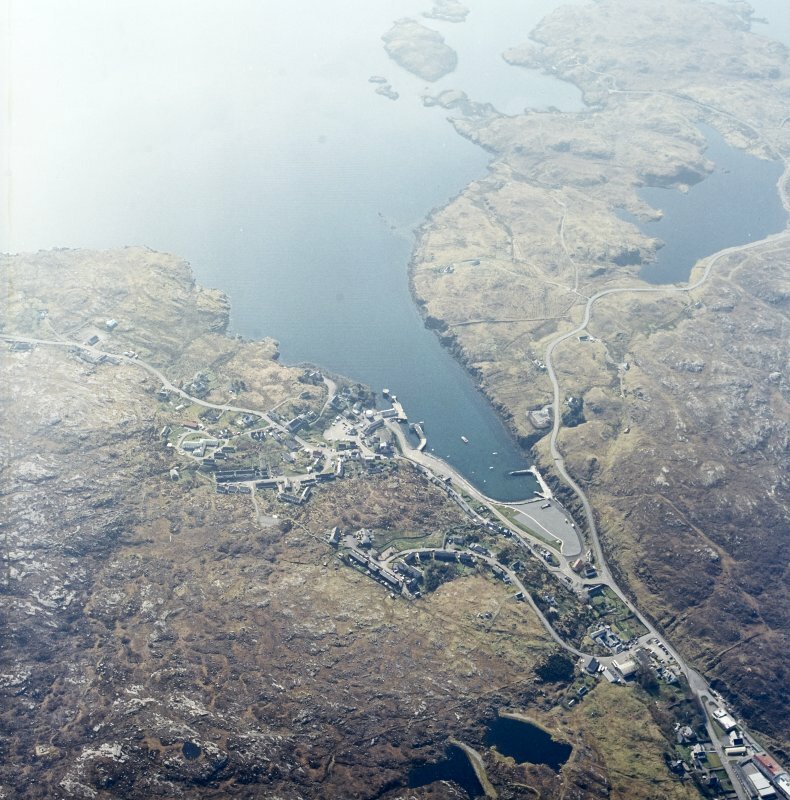 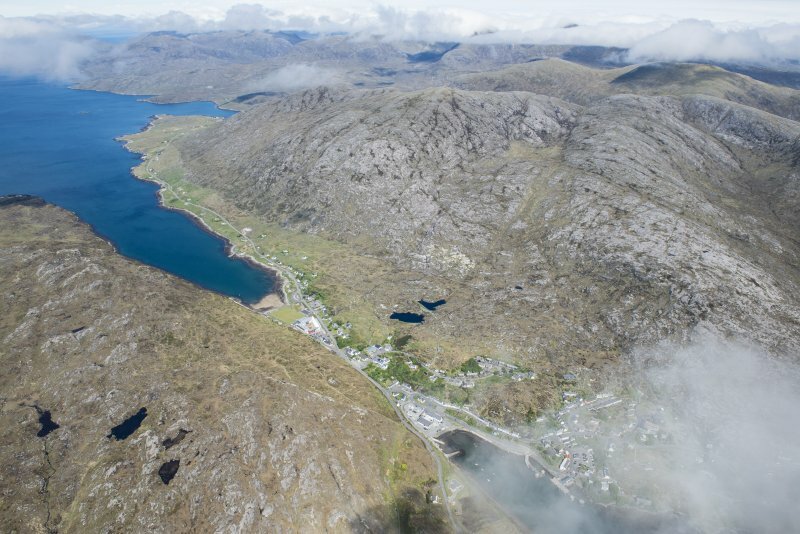 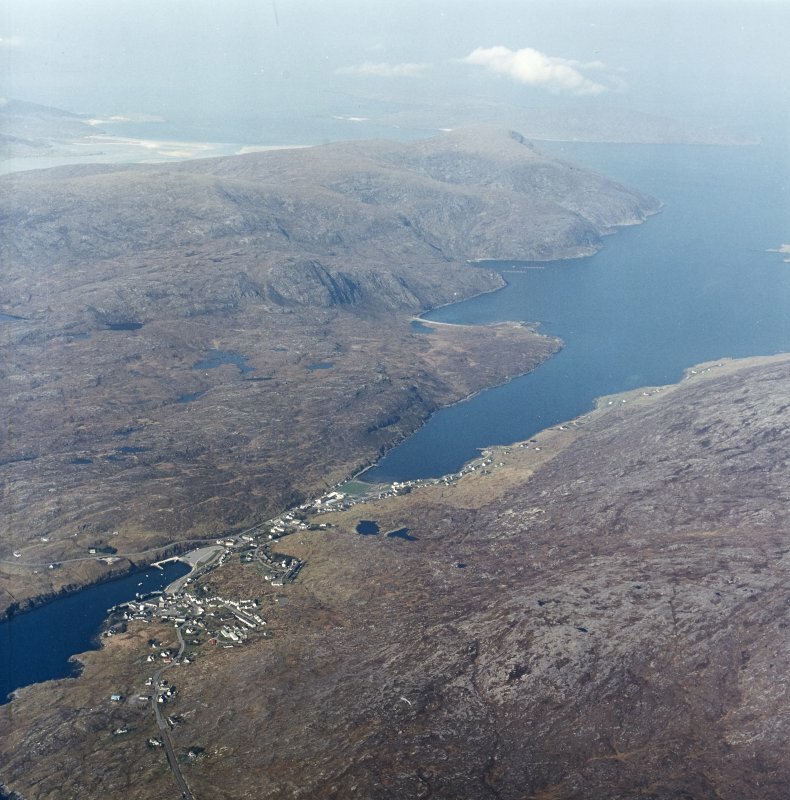 General oblique aerial view looking over the village of Tarbet towards Beinn Dudh and Taransay beyond, taken from the NE. 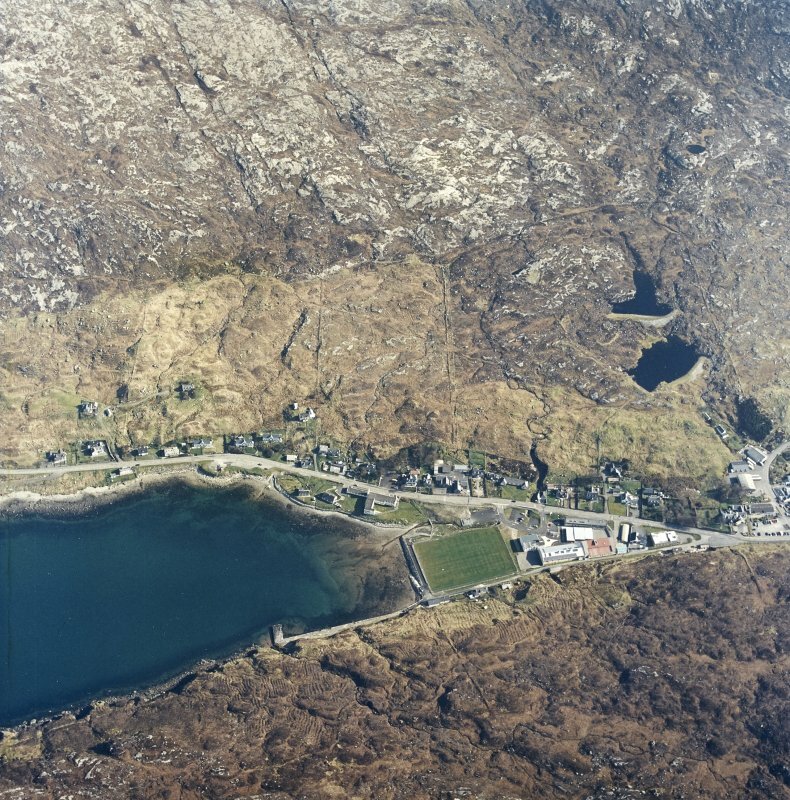 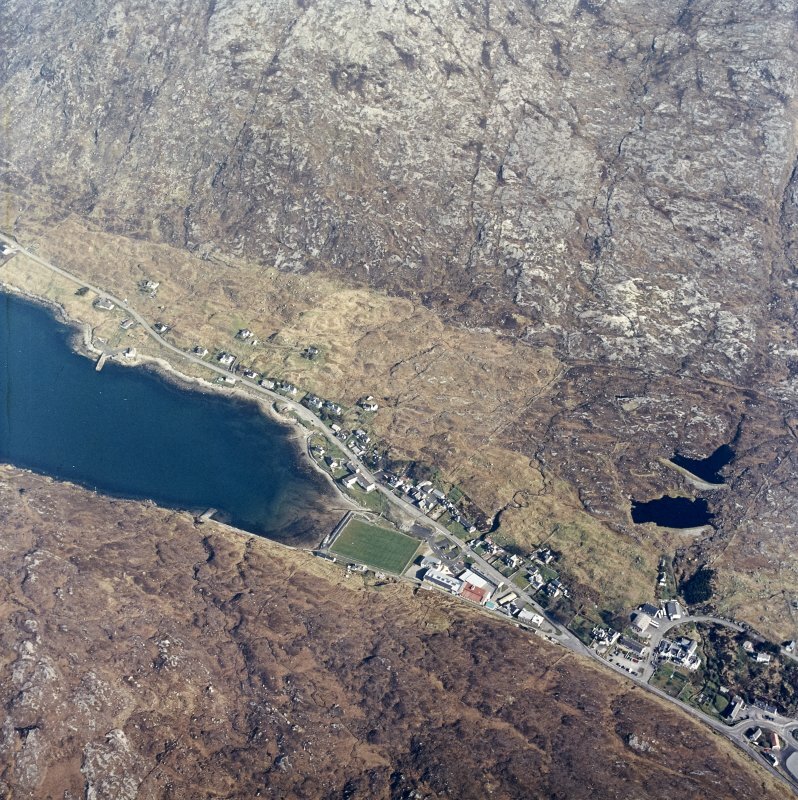 General oblique aerial view looking towards the village of Tarbet and Loch a Siar beyond, taken from the SE. 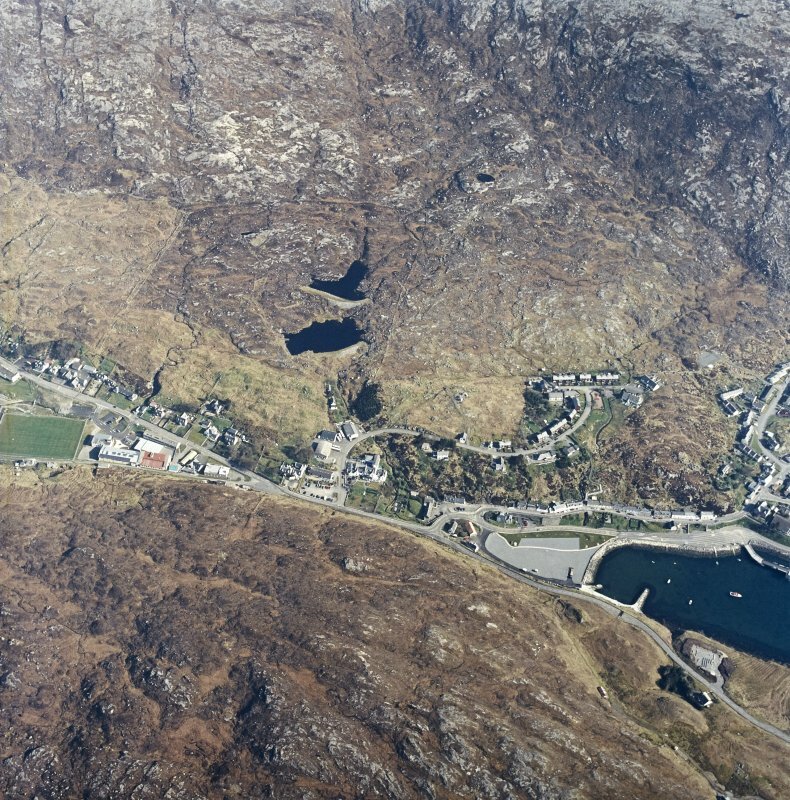 Oblique aerial view centred on the village, taken from the SE. 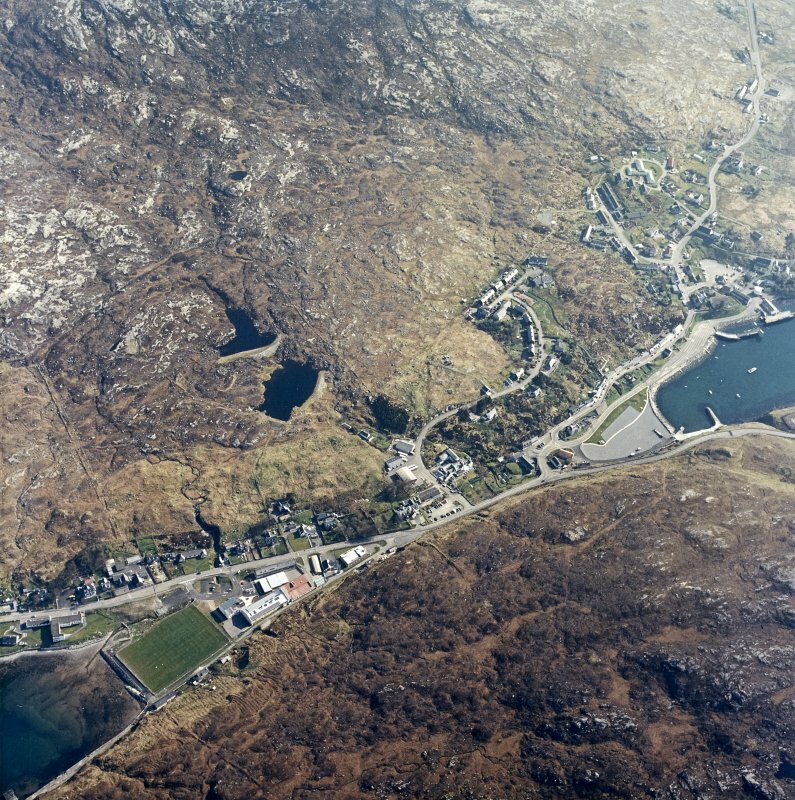 Oblique aerial view centred on the village, taken from the SSE. 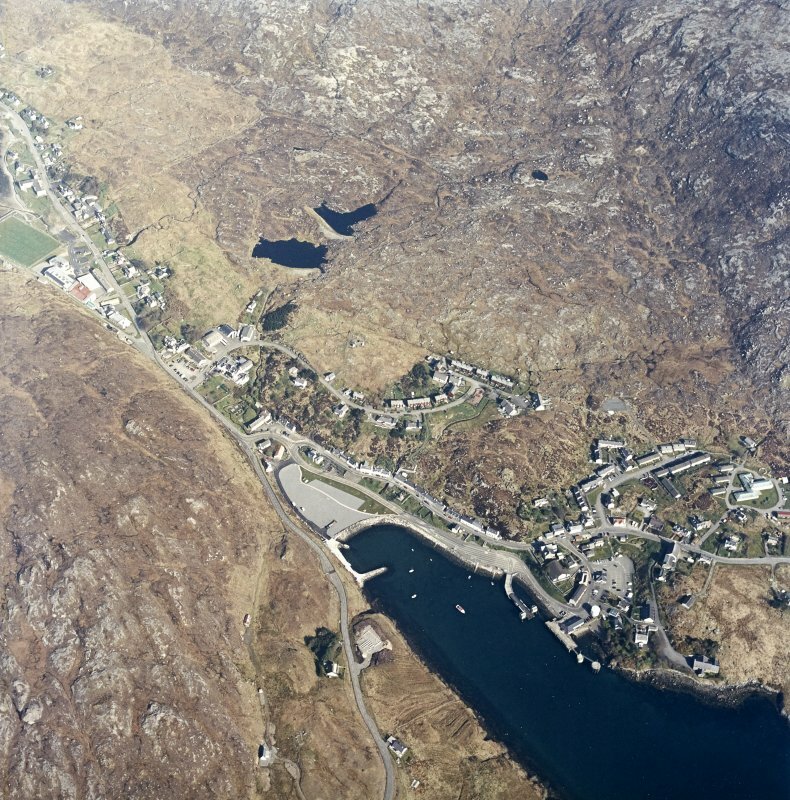 Oblique aerial view centred on the village, taken from the NNE. 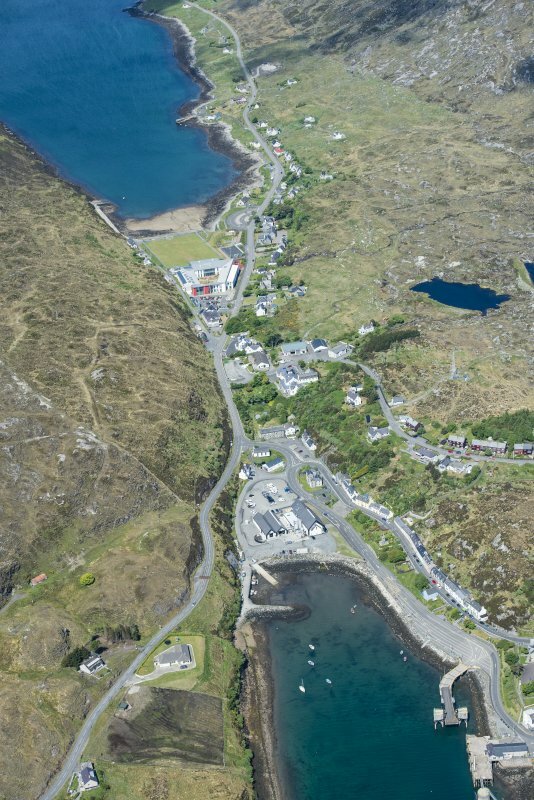 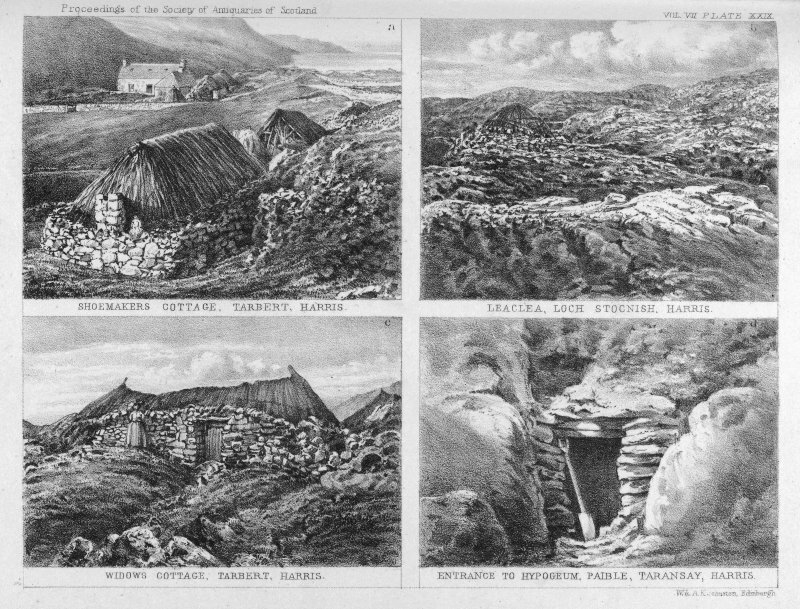 Tarbert The principal settlement of Harris straddles a narrow isthmus, across which Leverhulme dreamt of digging a canal. 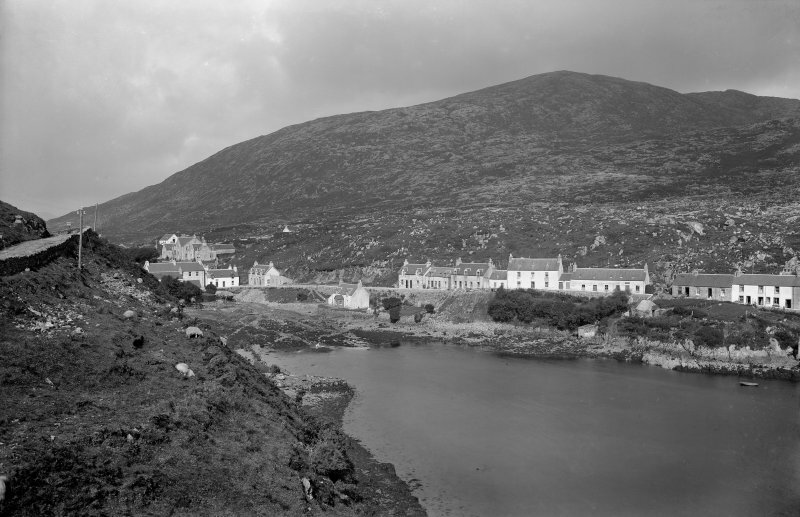 In the earlier 19th century it consisted of just a handful of cottages at the head of the east bay - the 1841 census records just 27. 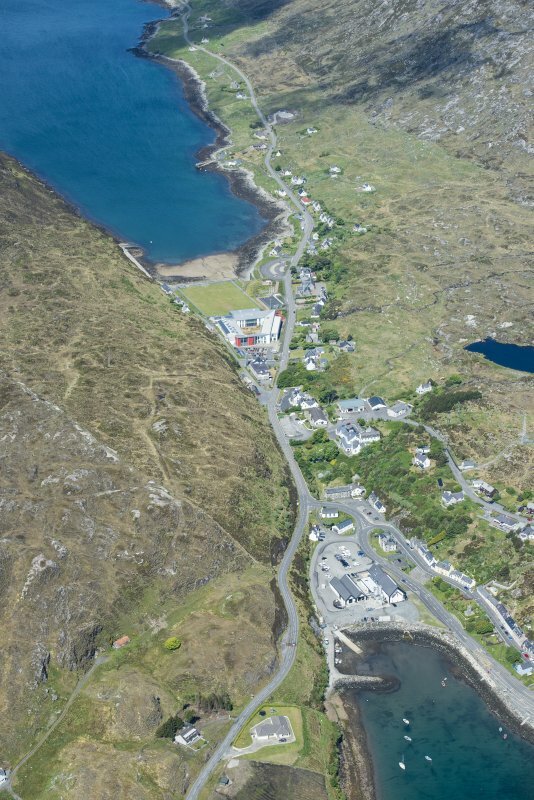 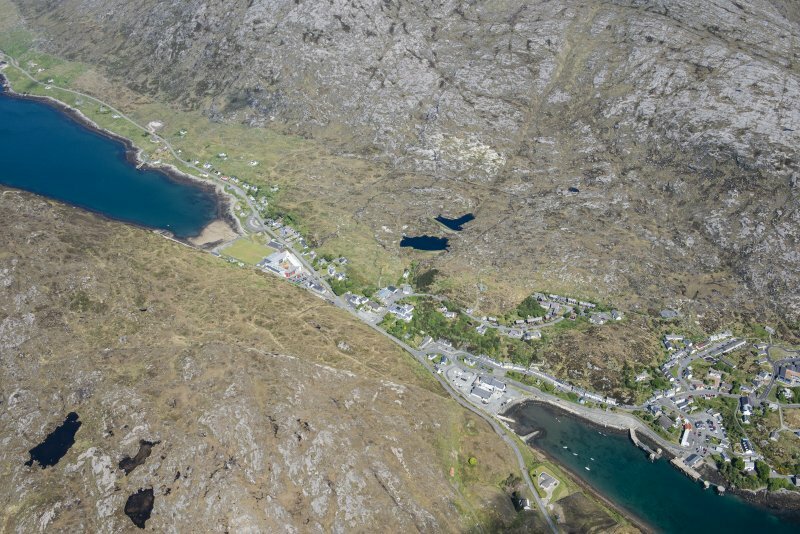 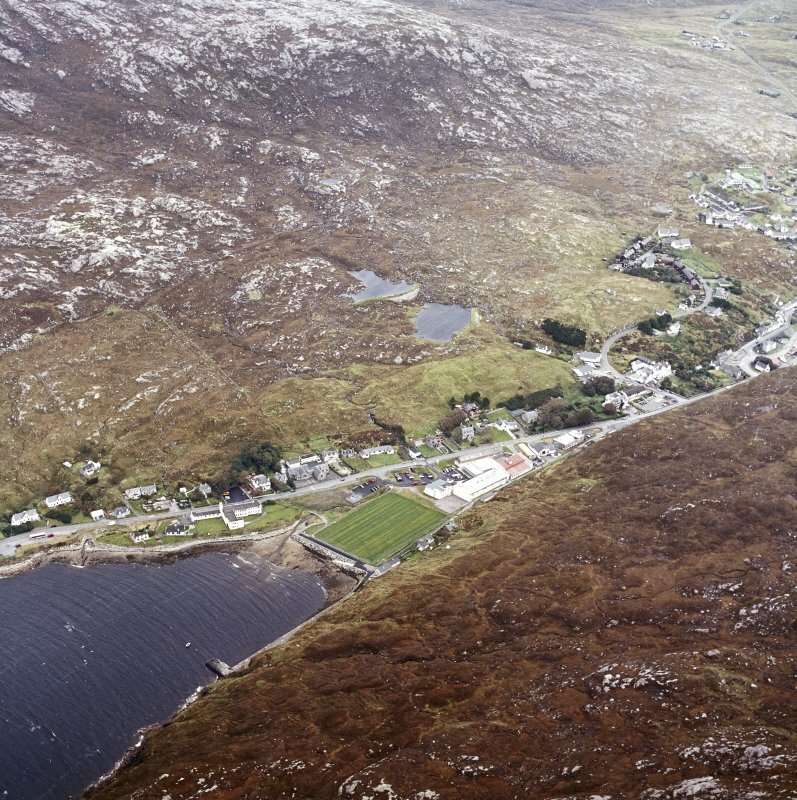 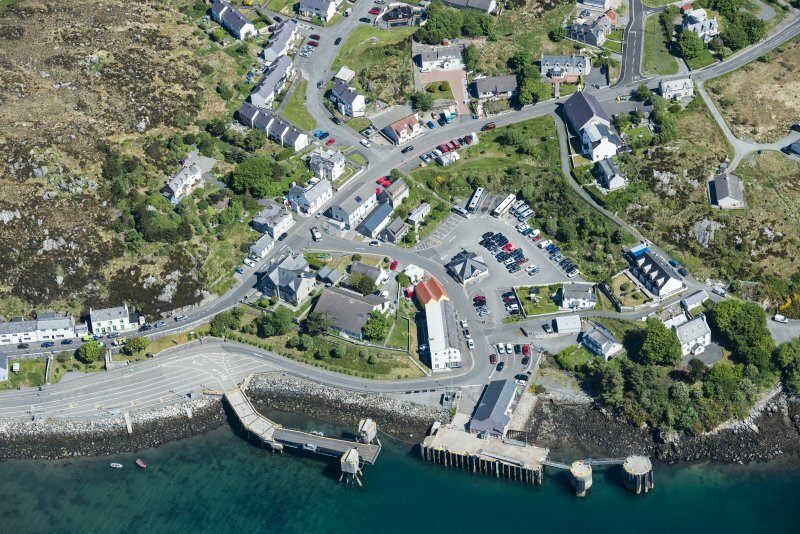 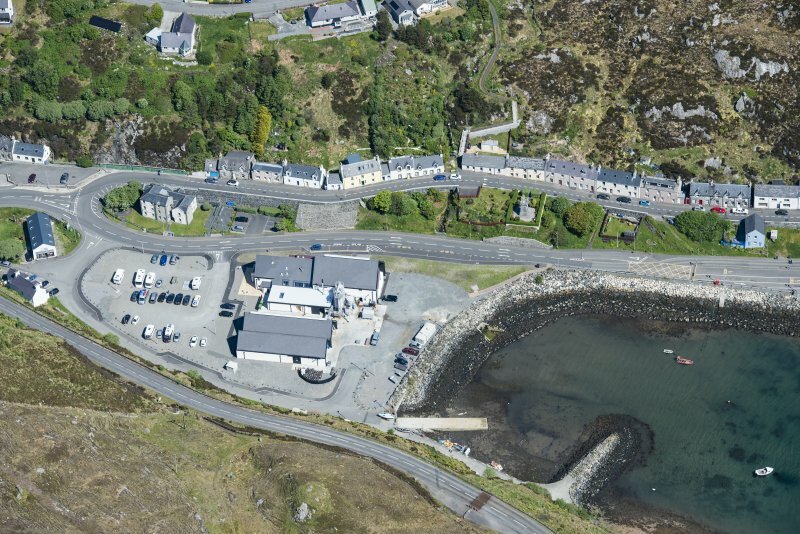 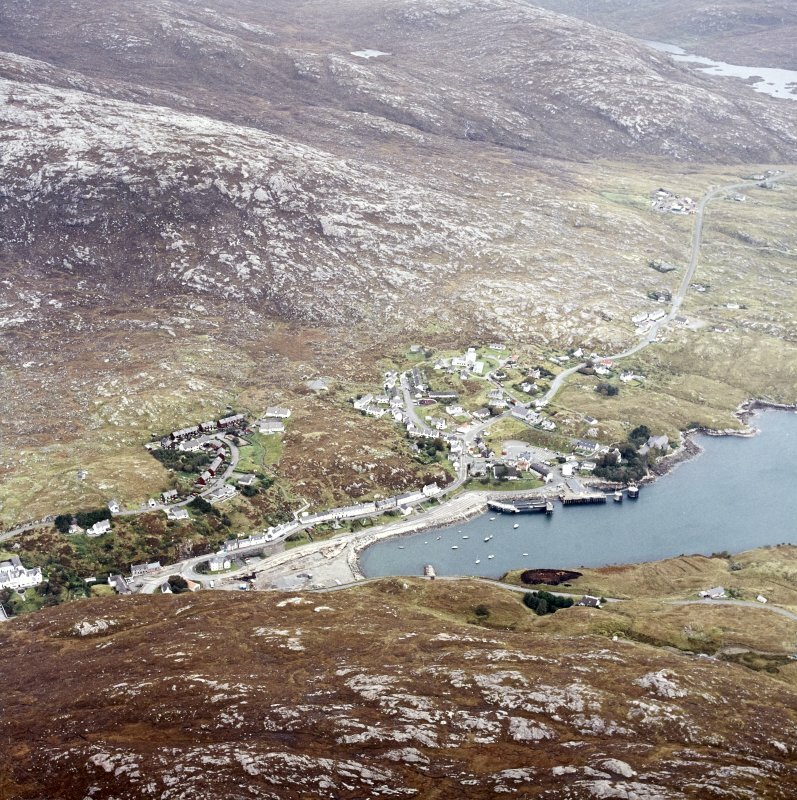 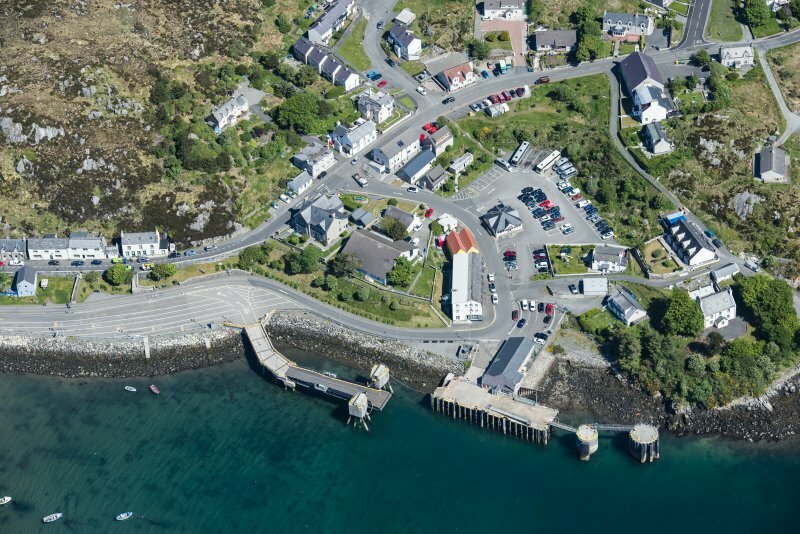 Now, in a curious move, given the amount of empty land in Harris, a development site has been created by reclaiming land at the head of the bay.